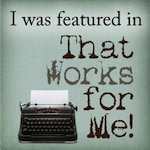 One of my newer blog friends is Donna, who (whom?) I got to know through Twitter (where we may or may not have sent each other "tweets" pretending that we were actually at the Blissdom blog conference). She blogs at Way More Homemade and has recipes at Way More Homemade Recipes. Compared to my dessert offerings, she really should call her blog Waaaaayyyy More Homemade! Another blogger who loves chocolate as much as I do, is a WAY better baker, and has a good sense of humor - what's not to love? Donna is treating you to some Chocolate Bread Pudding today. 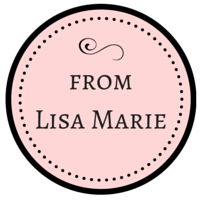 I was so excited when Lisa asked me to guest post for her today. Honored, in fact. However, I will admit that I had a hard time organizing my thoughts for this post. We had some family sickness and whatnot, but the real problem I was having was that this was “Dessert Friday” here at Stop and Smell the Chocolates – not necessarily “Chocolate Friday.” I kept trying to come up with a suitable dessert to post about that didn’t involve chocolate. I found it to be a practical impossibility for me. And then I had a “twitversation” (Twitter lingo for conversation for all you “twilliterate” people) the other day about one of my new favorite chocolate desserts. But wait, let me back up a bit and tell you how I came across this dessert recently. I have watched Food Network for years. I used to love Sarah Moulton and did my share of watching a little “BAM” action with Emeril Lagasse, as well as Food 911 with Tyler Florence. But something about Food Network has changed in recent years. It seems to be more personality driven than really sharing information about food. But that may be another post for another day entirely. I have decided recently that my favorite show on Food Network is now Throwdown with Bobby Flay. I think the thing I like most about it is that they showcase local cooks doing what they do best and seeing local cuisine from around the country. If you don’t know the premise, Bobby Flay gets an assignment at the beginning to come up with a dish that will challenge some local cook at his or her signature dish. He surprises the local cook, challenges them to a “throwdown,” they both make their dishes and then they have two judges do a blind taste and judge a winner. Sometimes Bobby Flay wins, and sometimes the local cook does. I have recently seen episodes involving Gumbo in New Orleans, Chicken Pot Pie somewhere in Texas, and Grilled Cheese somewhere in New Jersey. But the one that possibly made the biggest impression on me recently was the one about Chocolate Bread Pudding in Manhattan. This was a dish I had never tasted. Now, I love my sister’s traditional bread pudding that she started making while they lived in Baton Rouge years ago. It’s one of those dishes that we just expect her to make for family get-togethers now. And I had within the last year or so tasted a Mascarpone Bread Pudding at Carino’s Italian Grill and nearly passed out it was so good. But Chocolate Bread Pudding??? Oh, you have GOT to be kidding me. The thought was just too heavenly. The thought of this heavenly concoction kept milling about in my brain until I finally purposed to make it. Having never made bread pudding before I began doing some research and hunting around for recipes. It’s strange to say, but none of the recipes I was coming across online really sounded like something I would make. See, I don’t usually take the short cuts. I love to spend time in the kitchen and I believe the longer route usually leads to more delicious results. 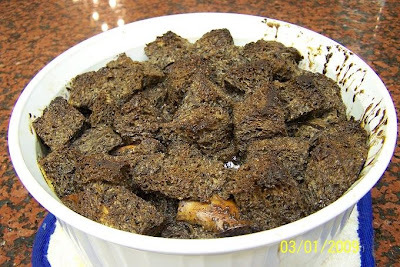 And many of the recipes I was finding just seemed like they were throwing some ingredients in a bowl and calling it chocolate bread pudding because it had some bread and some chocolate in it. No. That just wouldn’t do for me. I didn’t know what I was looking for exactly, until I found it. I found this recipe and literally said out loud, “Now, that looks like something I’d make.” I made it several weekends ago and it did not disappoint one bit. My husband described it well when he said it tasted like the brownies that I make, but it was this smooth velvety texture. *Make sure that as the bread is soaking in the custard before baking that you toss the bread around once or twice so that the top layer is as soaked with the custard as the bottom. My top layer was a little dry for my taste. *It seems that traditionally, it is served with Crème Anglaise. *Variation 1: Add dried (Bing or other) cherries. Plump them in some orange juice for a little while before adding them to the mix. Chocolate and cherries… mmmmmm. *Variation 3: Serve drizzled with a caramel sauce. You can hardly ever go wrong with chocolate and caramel. So, now, go and enjoy some chocolate bread pudding goodness. I’m craving it again already. *OK, now go get your old or new dessert posts and come back to link them up with Mr. Linky! That does look really good! It SOUNDS really good. I admit that the picture doesn't do it justice! LOL. I love food! LOL. Big High Calorie Hugs to you my friend. WOW! You must get a LOT of traffic on this Linky! 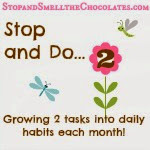 I JUST linked up to you about a half hour ago and my chocolate post has already had 56 views! oh. My blog is somehow appearing on http://alphainventions.com/ today. Hi. I'm just doing a little blog hopping on the UBP. You have a great site here. I'll definitely be back!